“Anne Stom, owner of Annie’s Ace Hardware, announces that Howard Politzer will be joining Annie’s Ace Hardware as a Senior Adviser to Annie’s newest retail location at 3405 8th Street NE in Brookland/Edgewood. After 40 years in the retail hardware business in Brookland, Howard will hold a retirement and liquidation sale starting Thursday, July 23 at Brookland Hardware, 3501 12th Street NE. All inventory will be sold at deep discounts. After the transition, Howard will join the Ace team, bringing generations of knowledge and trust with him. Howard has served both the Capitol Hill and Brookland communities during his tenure, and he comes from a long line of hardware store operators that includes his father, uncle and grandfather. In 2007, Howard received the Legacy Award from the Washington, DC Hall of Fame in recognition of his service to the city’s residents and for his contributions to the District’s growth and development. Additionally, Brookland Hardware has been hailed as the “Best Hardware Store” by Washington City Paper. “Howard is an institution. The neighbors genuinely trust him and his staff, and we are honored to be working side-by-side with him in this new chapter for both of our businesses,” lauds Anne Stom, owner of Annie’s Ace Hardware. Annie’s Ace will also be hiring Howard’s employees to honor the deep connections they have to the neighborhood. An event is planned for Saturday, August 1 from 11am-1pm at Brookland True Value Hardware to celebrate and honor Howard Politzer’s legacy. 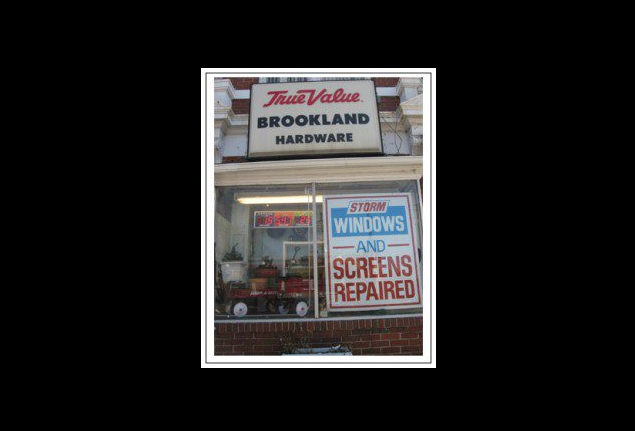 Brookland True Value is open from 8am to 7pm Monday through Saturday. Invited guests include Mayor Muriel Bowser, DC Councilmember Kenyan McDuffie, and John Feeley, Jr. and Rosie Dempsey, authors of Brookland (Images of America) (2011, Arcadia Publishing). The new 7,400 square-foot Annie’s Hardware-Brookland store will be packed with thousands of essential products and supplies from the most respected brand names and best-selling items in the home improvement marketplace, including Benjamin Moore paints, Weber grills, Mrs. Myer’s earth-friendly cleaning products, a complete line of canning supplies, Craftsman tools, and other premium products. Annie’s Hardware-Brookland will also offer many of the same services neighbors expect from Brookland Hardware, such as key cutting, screen repair, glass and Plexiglas cutting, and propane exchange. For the neighborhood’s active gardening community, the store will also include a 1,000 square-foot garden center, which will feature plants native to the region.